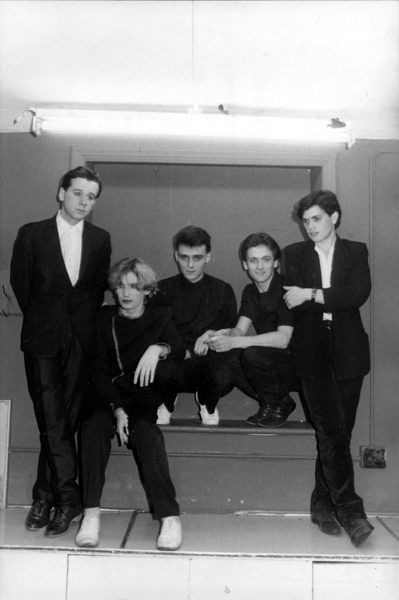 From left : Jim, Derek, Mick, Brian and Charlie. Trimmed and lean, this is called the Original line-up by many fans. Over the course of the next couple of years years, this quintet recorded three studio albums. However, they took on a sixth member in 1980 for the Empires And Dance tour. There was no break up... they simply took on a sixth member.